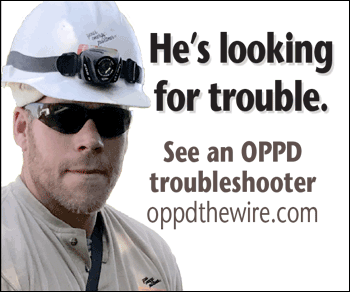 Step 1: First, we repair the main electrical lines coming from our substations. Fixing these lines gets our immediate attention, as these repairs will quickly restore service to the most people. Step 2: Next, we isolate damage and prioritize our repairs. If you see an OPPD truck drive by your house and not stop, don’t worry! We are assessing the problems so we can work efficiently and safely. Step 3: Then we repair tap lines that serve small groups of homes. If your neighbors have power and you don’t, you might be on a different circuit, or the service line feeding your home has been damaged. Individual repairs come after we restored all distribution and tap lines. Step 4: Finally, we work on individual service lines. In widespread outages, this can be the most time-consuming work of all. 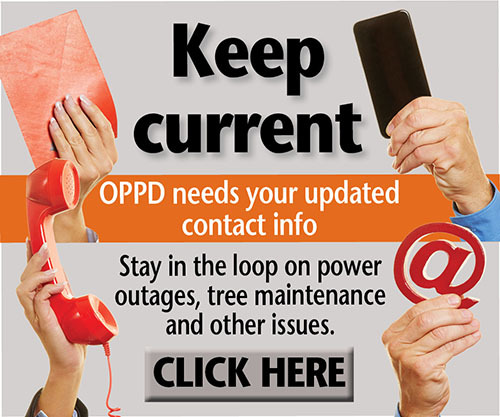 OPPD crews will untangle lines from fallen trees, but they cannot remove the trees or clear the branches. 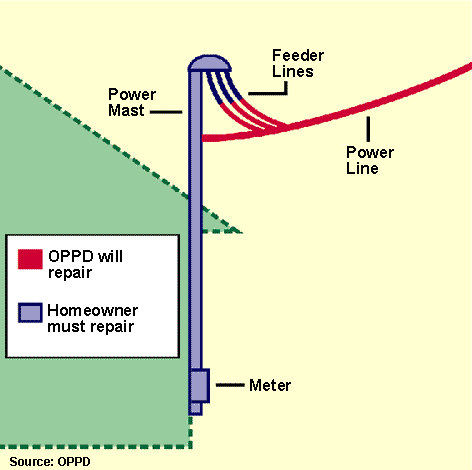 Step 5: Don’t forget: If the electric meter or power pole mast attached to your house is damaged, you need to hire an electrician to make repairs before OPPD can restore your power. Our crews may be able to restore your electricity temporarily, but a private electrician must make the permanent repairs. Questions? Call us at 1-800-554-6773 . Phil, we don’t have ETRs yet, but I heard Springfield got hit hard. Daylight will help our crews who are working on restoration. 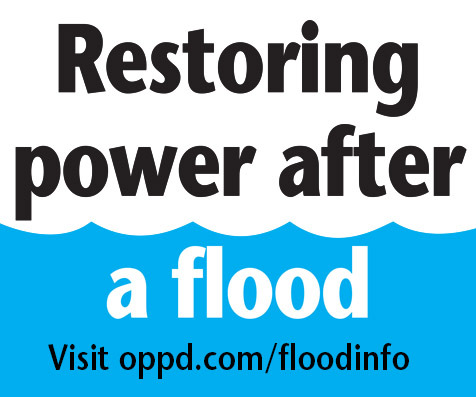 We do have crews coming from NPPD, Loup River and Southern public power districts to help our crews today. We will keep posting updates as information becomes available. Good luck!